Just got these installed yesterday &#x1f642; Rotiform RSEs in 20x10 5x112 +35 offset. More to come in the following weeks/months! Great drive today to Queenstown and back. A little fun, a little business. julianwhitta and mark7100 like this. 2011 S5 V6 3.0T. 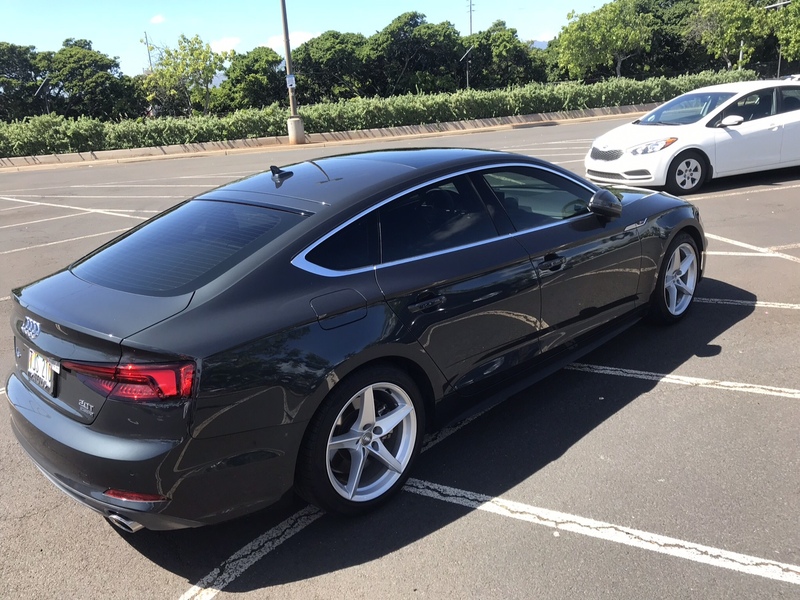 My First AUDI. Anyone interested in an Apple CarPlay retrofit? I fitted one. You can too! LinnBoy and JoeNavy like this. I got a new quattro grill! julianwhitta, Steve301 and LinnBoy like this. That is lethal mate - looks fantastic! Side view after a wash.
Niiiice, how does that look when retracted in? Latest pic of mine. Just waiting on the very first 3rd party splitter kit to roll off the production line. Should have it in 2-3 weeks. danjwilson and Double V like this. Latest pic of mine when it was clean, and the new brakes as they arrived, my cleaning and re-painting them and finally fitted. I got bored with the standard wheels.